Event Description : Qareeb band Live. The Delhi based five piece band will be entertaining the music lovers with mind-blowing Sufi, rock and Bollywood numbers. So, put on your dancing shoes and get ready to be mesmerized with their amazing live performance. Qareeb means come close.Here we mean come close to music. 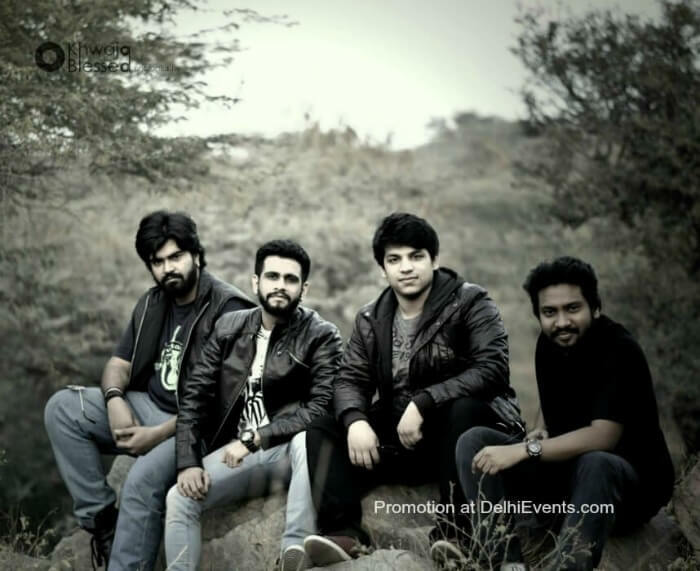 Qareeb is a delhi based bollywood sufi rock band. The band is formed in the year 2014 and has been performing all over since then. Be it a corporate gig, private event or a college do, Qareeb is simply the best choice. Being classically trained, the lead singer Wajahat Hasan is capable of singing all the genres like bollywood numbers, sufi numbers folk songs, party numbers.. .